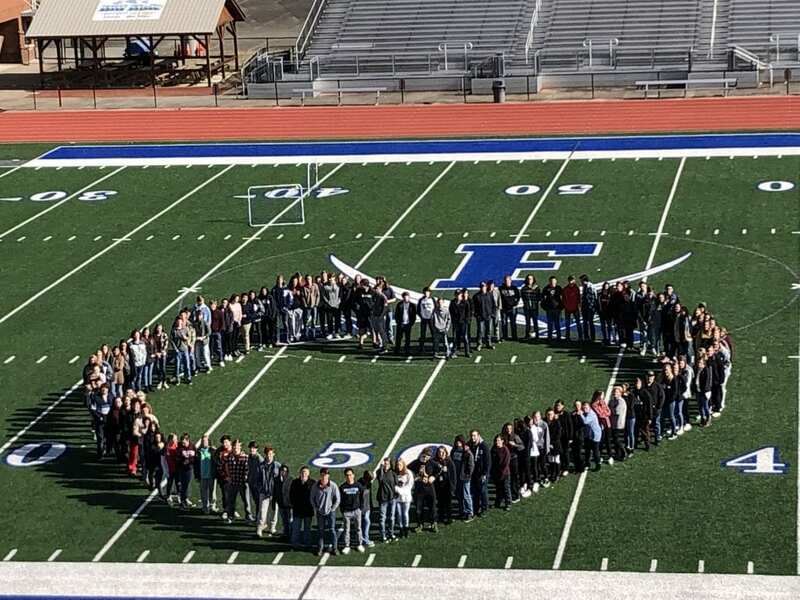 During the week of January 28, Fannin County High School joined with over 24,000 schools to participate in The Great Kindness Challenge sponsored by Kids for Peace. This was a global campaign that also spanned 113 countries. Faculty, staff and students were given a list of “Challenges” to complete during the week. Some of the 50 challenges from which they could choose included: smile at 25 people, pick up trash on campus, say good morning to 15 people, sit with a new group of kids at lunch, read a book to a younger child, step up for someone in need, and write a thank you to your teachers, administrators, counselors, and support staff. To kick off the week of challenges students in several classes met on the football field to create a symbolic heat and students and staff also wore a specific color each day during the week to support the challenge. 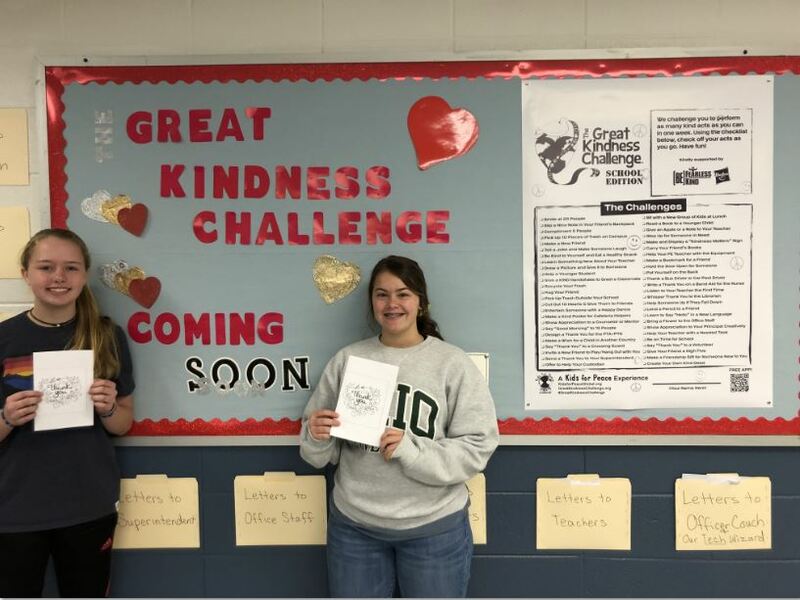 While one student did comment, that “in our school we do these types of activities on a daily basis,” the week did provide the opportunity to remind everyone of the impact being kind can have on the world. 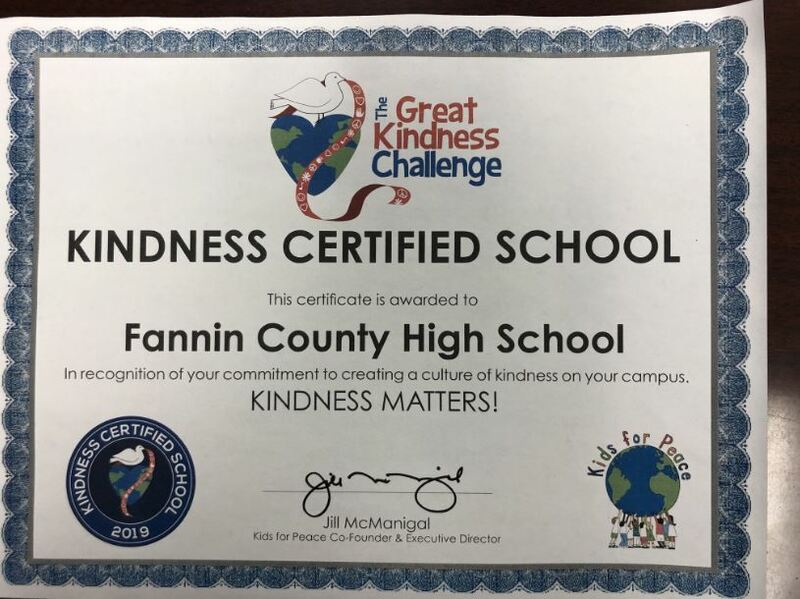 Upon completion of the challenge, Fannin County High School was recognized as a “2019 Kindness Certified School” by Kids for Peace. 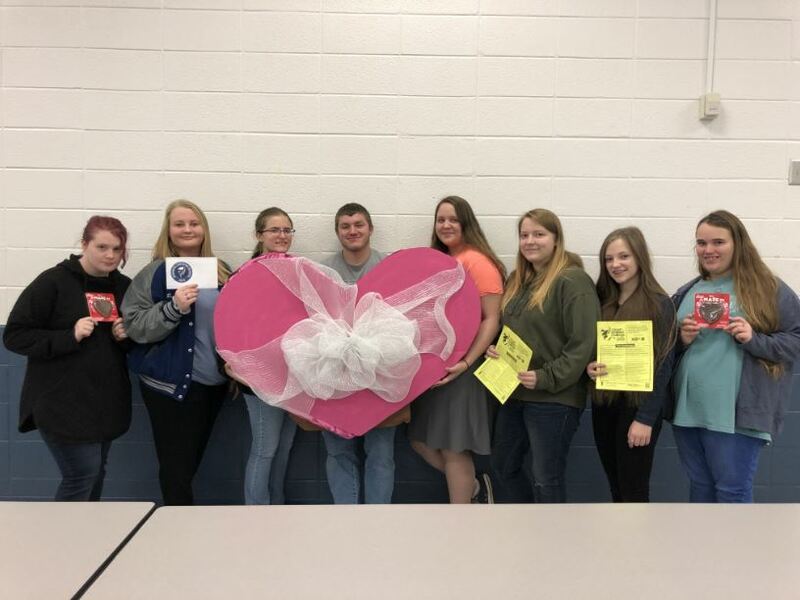 The expectation is to participate in this challenge on an annual basis and it is sponsored by the PBIS (Positive Behavior Interventions and Supports) Committee.